Data is a critical component to business transformation, but if you don't have a framework to steer the interpretation and application of that data, you're lost. 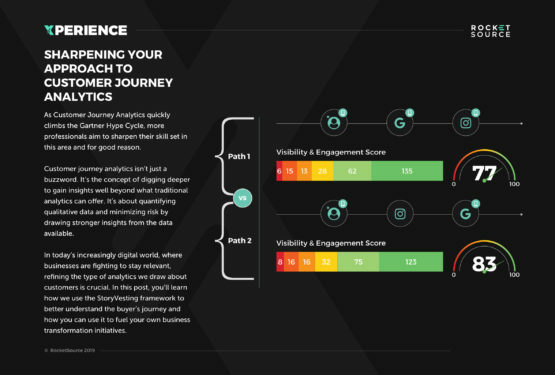 Why a Customer Journey Analytics Framework? Other frameworks are good in their own right, but to drive real business outcomes it's necessary to have a framework that guides how you tap into your customer journey analytics. The StoryVesting framework was created based on internal research and data, as well as behavioral economics and consumer psychology studies. We've innovated on traditional business practices to leverage the unprecedented amount of data available today as a means of generating higher quality results at a faster pace. We’re living in an age of accessibility to data and unprecedented insights. Although promising, this age comes with its share of challenges. If you don’t have a customer journey analytics framework to support the overwhelming amount of information flowing in, you’re lost. 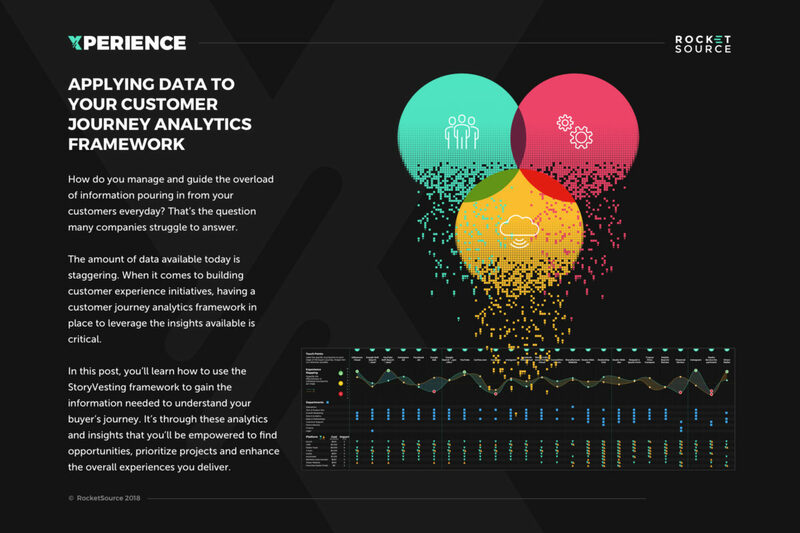 For anyone working in or around data science, product development, or information systems, you know how critical data is to your company. Having a dedicated way to pull out transformative insights from the qualitative and quantitative information available is a must in today’s world. The question isn’t whether you should tap into what’s available, but rather, how you can leverage what’s at your disposal? What does it look like when you pull out transformative insights? And what’s involved in running a data-centric operation that enhances the overall brand and customer experience? The business world is still exploring the answers to those questions, and until there’s a crystal clear roadmap (if there will ever be one), here’s what we know: to maximize and monetize the insights available, you must have a framework that guides how you harness data as a beacon to steer your projects and decision making. 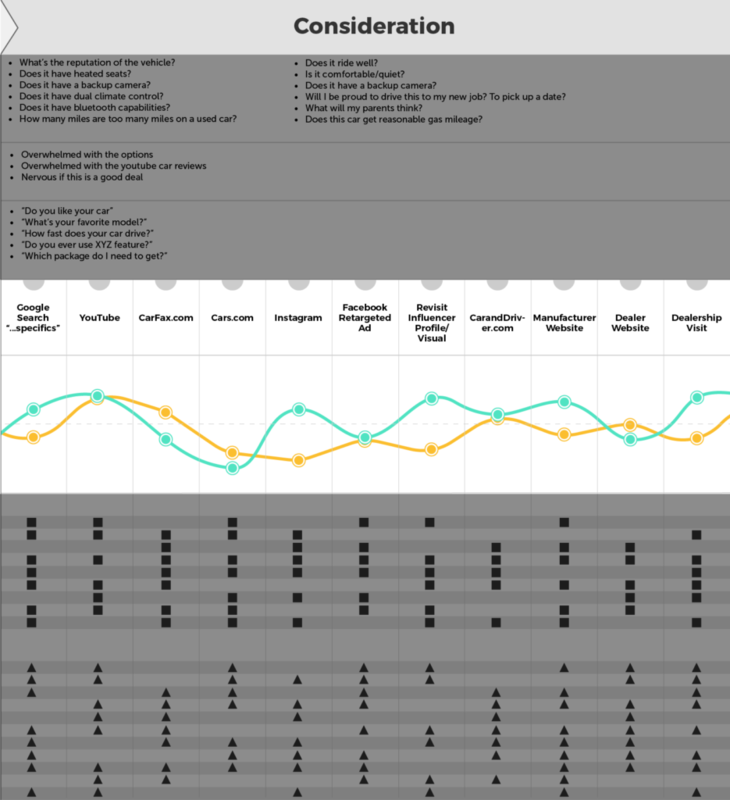 Why Do You Need a Customer Journey Analytics Framework Specifically? The term “framework” has many meanings in and outside of the business sphere. 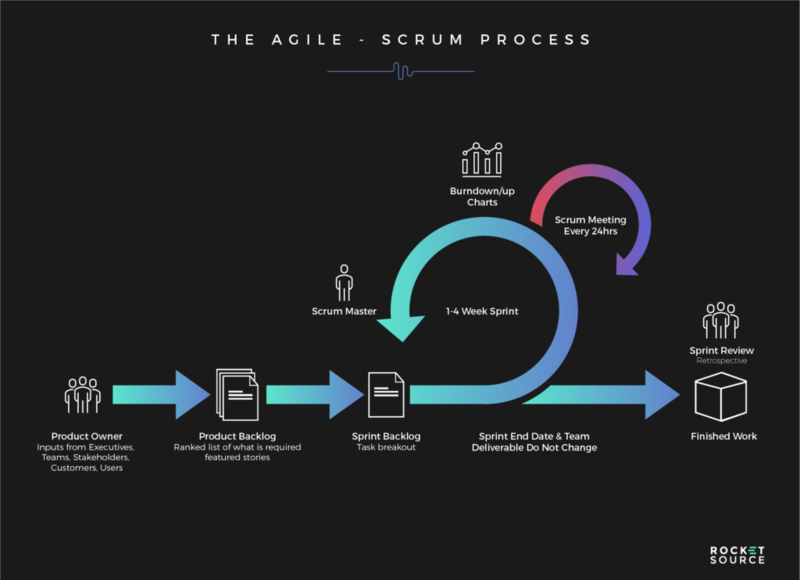 When we talk about a customer journey analytics framework specifically, we aren’t talking about linear scripting, data-driven testing, or even something that looks similar to this agile scrum framework from The Product Coalition and C# Corner. Frameworks like this one are useful in their own right, but they’re not what’s needed to drive desired outcomes. Business frameworks are vastly different from ones used for programming or development. Instead of focusing on one specific task or goal, business frameworks focus on the organization as a whole. 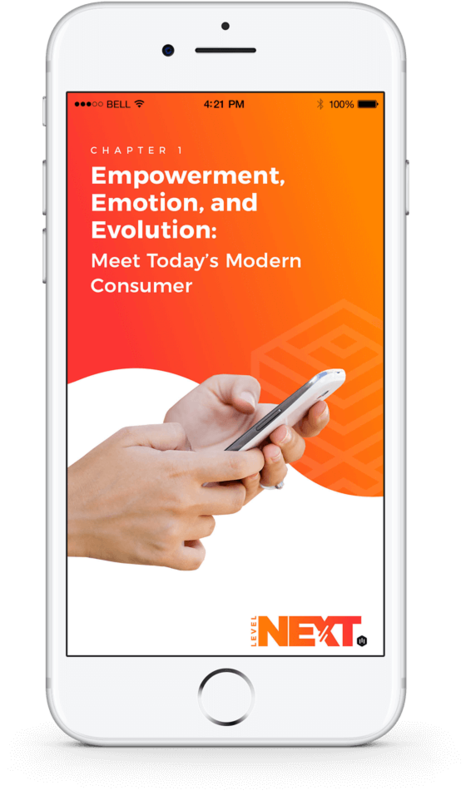 Modern customer experience initiatives have more weight, power, and influence when all departments operate under the same mindset. By using a customer journey analytics framework to shape those experiences, you are empowered to keep the guardrails up within your organization and maintain a consistent mindset across all departments. This consistency will help you achieve two things: (1) You’ll have fewer silo walls, and (2) You’ll gain more organizational buy-in. A recent McKinsey study on mapping the value of employee collaboration found that only a quarter of senior executives reported their organizations as being effective at sharing knowledge across boundaries. 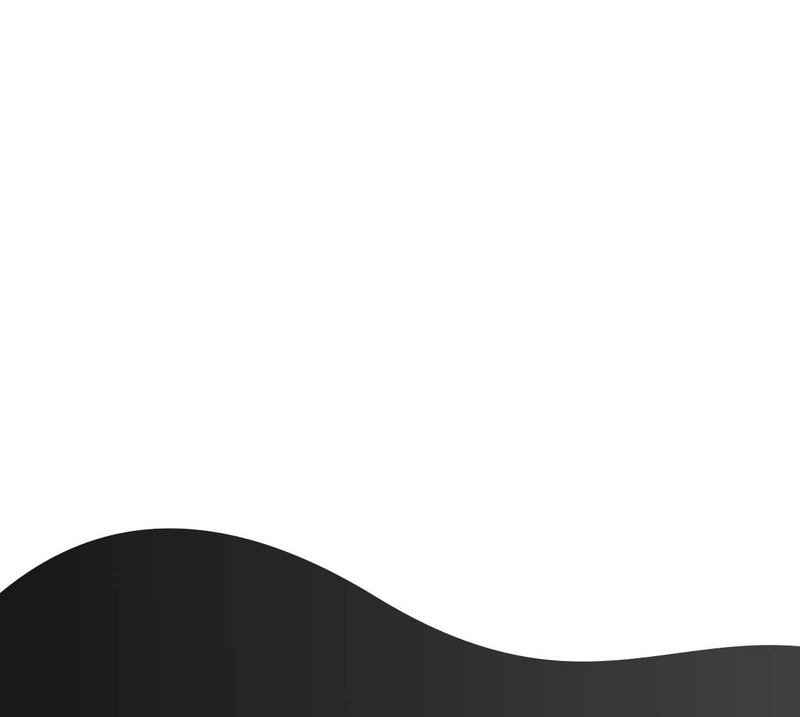 Communicating CX initiatives to your organization when silo walls are present leads to groupthink and cognitive biases, which can have toxic outcomes. Trying to run initiatives through siloed departments is like playing a company-wide game of telephone. Communication is muddled and efficiency suffers for any and every project. On the other hand, with a framework in place, departments work in sync and that collaboration improves outcomes and delivery times. Only 22% of employees strongly agree that their company’s leaders have a clear direction for the organization. Without showcasing your organization’s direction, it’s nearly impossible for you to gain organizational buy-in from your team. When people don’t know where you’re going or how the work impacts the organization and the customer, it’s hard for them to feel passionate about the work at hand. That lack of passion translates into a lack of productivity. 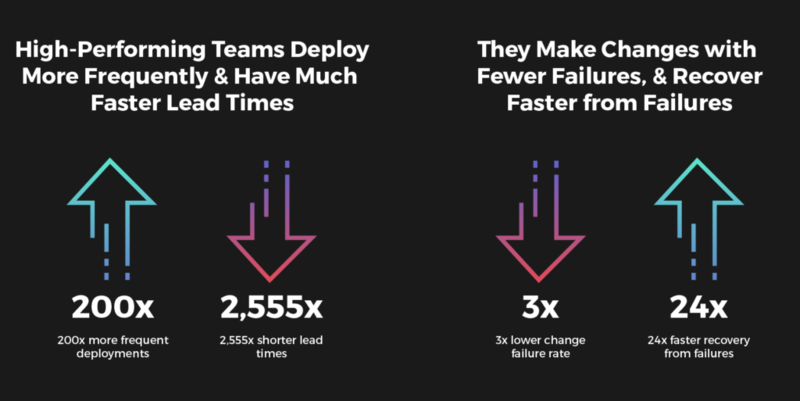 According to CA Technologies State of DevOps Report, high performing teams “see the connection between the work they do and its positive impact on customers.” As a result, these teams deploy 200x more frequently and have 2,555x shorter lead times. It behooves organizations to stir the passion inside their employees and gain organizational buy-in by providing that clear vision and direction. By using methodologies for identifying silos and lack of alignment with the company’s vision through journey analytics, your company is empowered to solve underlying issues and capitalize on new opportunities. The first step in achieving these goals is by operating through a robust business framework that centers on the customer’s journey. At RocketSource, we use the StoryVesting™ framework in our company and for our clients. This framework has been implemented at dozens of organizations, including many notable Fortune 100s. If you haven’t read the backstory of how the business transformation framework came to life, we encourage you to set some time aside to do so. In the meantime, here’s a condensed version of the backstory. 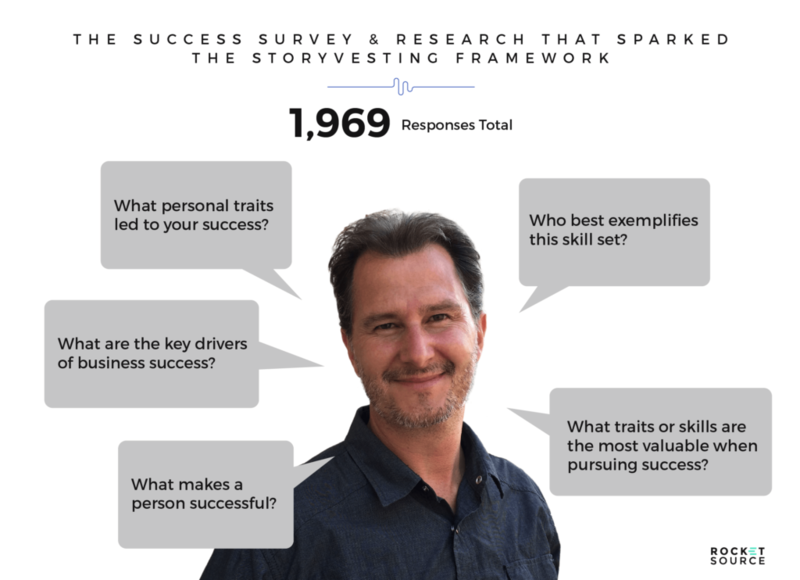 Buckley Barlow, a co-founder of RocketSource, designed the StoryVesting™ framework in 2007 after years of research. In his research, Buckley talked to anyone who was willing to speak with him and who had the resume to support the title of ‘success’ — 1,969 people to be exact. 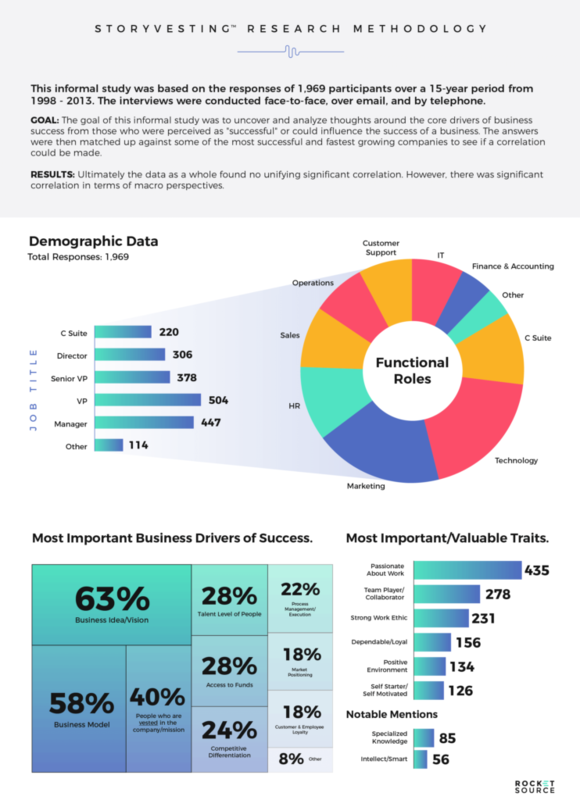 In looking at the datasets and demographics alone, he was able to pull out key insights about what drove businesses and people to success. These findings impact every facet of business from DevOps and project management to content marketing and research. The business vision answers why people show up at work every day and is paramount when making strategic strides to improve the buyer’s journey. The business model is the means of driving projects to completion successfully. As we pull together teams consisting of vested, talented people, we’re able to operate using a framework based on crucial elements of success. In addition to his own research, Buckley looked at behavioral economics and consumer psychology studies to understand the drivers of consumer behavior. Specifically, he analyzed the gut emotional reaction people have when thinking of the brand. We call this the cognitive association(s) of the brand. Cognitive associations are based on emotions around the brand rather than the logical business model. For example, the cognitive association of Amazon is convenience — not two-day shipping. The cognitive association of Apple is quality — not technology. Knowing the cognitive associations consumers have with a brand is critical when striving to understand how they react to the brand throughout their journey. It’s through this understanding that companies can closely align the employee’s work with customer demands at every touchpoint. As Buckley pulled together his insights and research, he created a customer journey analytics business framework. Here is the most recent iteration of the StoryVesting™ framework. 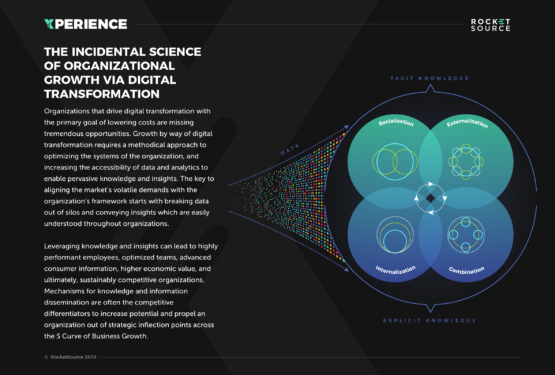 The design of this framework is critical to bringing website development, content, data, analytics, creatives, strategy, and other key players together in one place. In each circle, you’ll see various concentric layers. 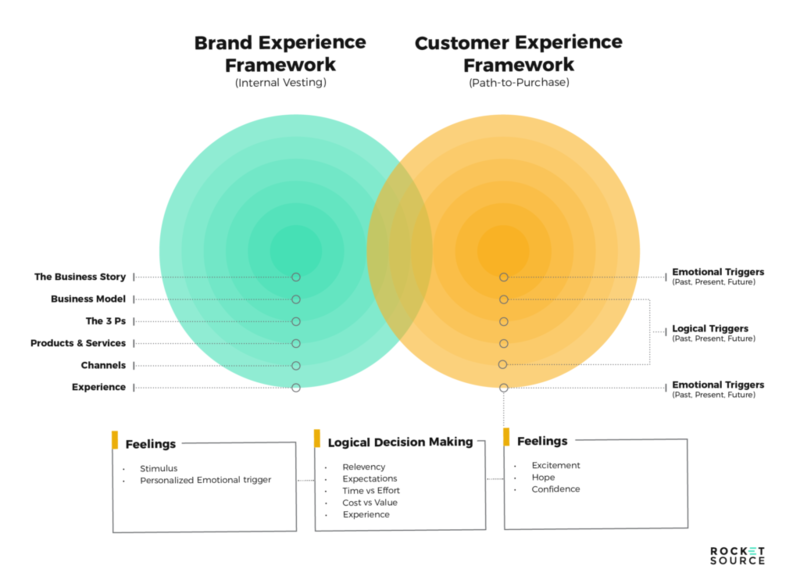 The layers in the Brand Experience concentric circle represent the foundational elements that make up the brand experience, or what happens in the back office. The layers in the orange concentric circle represent the customer’s path-to-purchase and the emotional and logical triggers they go through when deciding whether to buy from you or a competitor. When managing projects across the StoryVesting™ framework, we must consider how these two circles align. Creatives in content and design are the people we have available to us to visually and verbally show our outward expression of how our business story (our why) aligns with the customer’s why — a task that requires us to keep data and analytics close at hand, showing what’s working, what’s resonating, and what’s not. Everyone must use the same business blueprint to bridge the gap between data, analytics, content generation, design, ongoing monitoring, and CRO to build a business your customer will be proud to be a part of. Here’s a good metaphor to show this concept in action from a project management standpoint. Consider your company’s project is a house needing to be built. You wouldn’t build a house without tools (or analytics), and you wouldn’t hammer a single nail without information about the structure (data). When building a house, the craftsmen and women use these tools to design and strategize about what the final outcome will look like before you begin building. To keep teams aligned with the customer’s why as you build the house (or project your team is working on), you must maintain transparent communications easily interpreted and applied across all departments. These communications must be based on the data at your disposal to make them irrefutable and increase organizational buy-in. We’ve innovated on traditional business practices and applied data to processes, which were previously based on guesswork, smaller data sets, and human intuition. 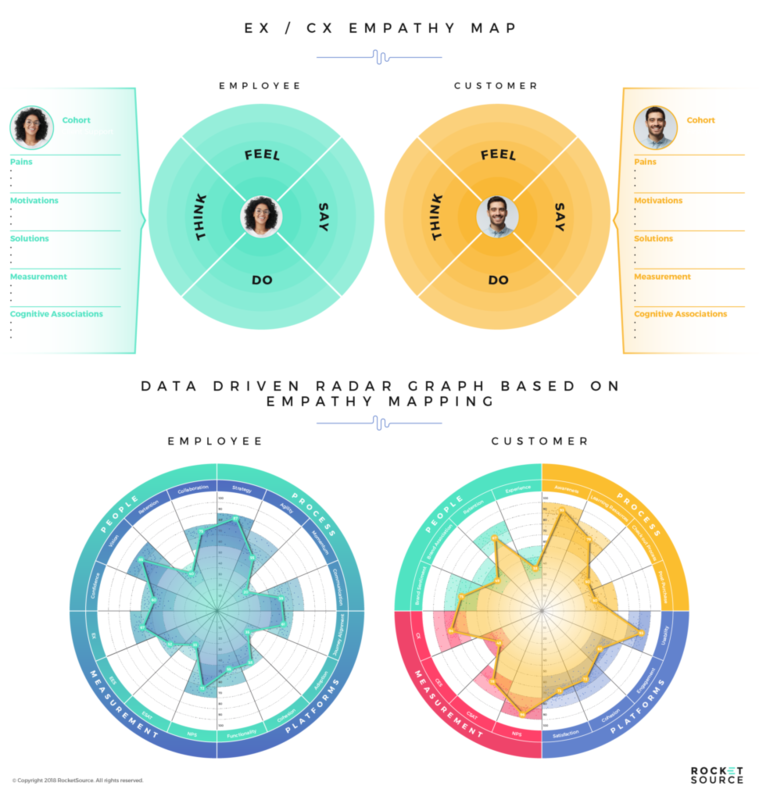 Traditional empathy maps are one good example of a standard business practice, which has since received a facelift at RocketSource. In the past, the goal of empathy maps was to let people across the organization get in the shoes of their customers and practice empathy when working on projects. Although valuable, these empathy maps were often ignored or forgotten about because they lacked depth. Here’s how we changed that. On this empathy map, we applied the StoryVesting™ framework by adding a second circle corresponding to internal empathy. Now, we’re able to get into the shoes of our colleagues, as well as our customers and better understand how to align the two areas to achieve a sublime customer experience. To do that effectively, we’ve applied 16 data points to each circle and plotted each on a radar graph. Another common business practice we’ve innovated on is the customer journey map. Traditionally, this map only offers a high-level picture of what happens at each stage of the customer’s journey. We’ve deepened those insights by applying journey analytics to the map. 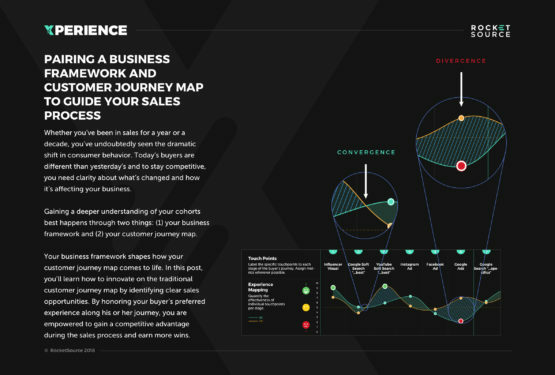 This is a sample snippet of this upgraded customer journey map. We call this new map the Customer Insights Map (CIM) because it offers deeper insight into what’s happening in the buyer’s journey. These insights are based on data and analytics instead of guesswork. 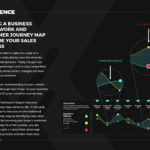 This approach to customer journey visualization enables key stakeholders to see areas of opportunity for improvement. It also maintains transparency organization-wide about what’s happening throughout the customer’s experience. Although we aren’t running a CIM analysis every day, doing exercises like these hones the mind to be more empathetic and aware of the business operations within the everyday. Running a CIM is an exercise in tracing how elements in a business interact and impact each other. Whether you’re looking at engagement at each touchpoint from various departments or finding new platforms and assets to enhance touchpoints, running this exercise proves valuable. Even when the exercise is only done once it opens the restricted thought process to consider the complex network surrounding every aspect of business choices. That single adjustment is what informs our work everyday organization-wide. Website development teams can better understand how the user interface (UI) influences the customer’s experience on our website. Content teams can better predict what the buyer needs to hear at each stage of the journey. Data science teams can understand where and how to gather reliable data to tell a stronger story and pull out more areas of opportunity. Analytics teams can better understand which metrics respond to the organization’s success and how they can be used to deepen insights into the customer base. Creative teams can understand the cognitive associations of the brand and visual emotional triggers to get people to take the next step in a journey. Strategy teams can pull a variety of elements together to strategically deliver messages and insights that will get customers engaged. This is just a small sampling of what can be done throughout your organization to take a more data-centric approach to build out profitable customer experiences through the StoryVesting™ framework. Recently, our company was hired to help a client revamp their content strategy. Here’s how it played out using the customer journey analytics framework, StoryVesting™. We kicked off the project with regular calls between all stakeholders to maintain consistent communication from the ground level. Early communication centered on the research and data our team had gathered about the market’s cognitive associations of the brand and how that supported their business story. We also researched the competitive landscape, and used our findings to inform their content strategy. Through our findings, we presented a third-party objective view circumventing long-standing communication walls and internal biases. Based on the product research and data we gathered, we recommend revising their information architecture using Lucid Chart to present our updated approach. This revision consisted of everything from a revitalized sitemap, to the breakdown of topics and strategy for each page. Once the necessary adjustments were made and we gained buy-in on the new information architecture, we strategically deployed internal agile project management (Jira) and stakeholder collaboration (Monday.com) platforms to best facilitate the transfer of knowledge and unify the efforts of all project participants. We then incorporated our project creatives with a shoulder-to-shoulder dissemination of all insights gained as a result of our strategic discovery. Our design and content teams then executed a collaborative process to fuse our collective knowledge into what became the wireframes presented to the project’s stakeholders (via InVision). Throughout the project, we implemented a feedback loop where the design and content progress were presented to the stakeholders weekly, recommendations were received, and adjustments were made accordingly. The entire process was conducted with agile methodologies, using rapid but informed decision making thanks to the reliance on the analytics collected from the onset. The StoryVesting™ framework was critical to understanding which analytics to look at and establishing processes based on consumer demands. The end result enabled us to deliver quality results at faster speeds. We’re lucky to be living in a world where data are available in excess. But having this accessibility to data is just the beginning. With a robust framework to shape how we interpret and act on the insights gleaned from t he information we gather, we succeed in running an intelligent operation steeped in analytics. By developing your team’s mindset to embrace the business’s story but back all assumptions with fact, data and analytics become more appealing to use. Need help bringing StoryVesting™ to your organization? We have you covered through our LevelNext business transformation workshops. Here you can explore how to take an insights-centric approach to all aspects of your business using the StoryVesting™ framework as your foundation. Get started immediately through our free series, Digital Dominance, or request more information about the online or in-person workshops. 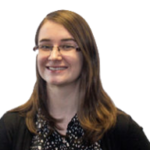 Dylan has a background in data analytics, product management, project management, metrics-driven operations, account management, financial analysis, and business development. He looks at big-picture strategy decisions and finds ways to improve outcomes by empowering the people, processes, and platforms that generate those outcomes. Above all, he is focused on how organizations can improve the lives of their customers.